No media, no journalists can cover the oath taking of the incoming president Rodrigo Duterte inside the Rizal Hall in Malacañang. 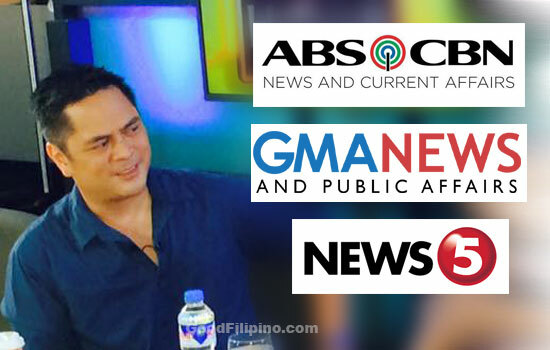 The incoming communications secretary Martin Andanar told that only in-house presidential videographer Radio TV Malacañang (RTVM) can have a live coverage of inauguration on June 30. Martin Andanar explained the 'reason' why they are not allowing any outsider media to have a live broadcasting inside the venue of the said historic event for the president-elect Rodrido Duterte. Due to the limited capacity of the Rizal Hall in Malacañang as the venue of inauguration which could only accommodate 500 guests. He said, "Yung plano, as of now, sa Rizal Hall ay RTVM ang lead tapos magkakaroon tayo ng… under negotiation ang area kung saan pwede mag-standupper ang mga broadcaster… tapos lahat naman ng media na binigyan ng accreditation can monitor it sa New Executive Building"
"Talagang masikip lang talaga sa loob. Masikip sa loob ng Rizal Hall. Hindi siya ganoon kalaki ang espasyo. Limang daan lang kasi ang pwede na bisita so ang atin namang mga kasamahan sa RTVM ay sanay na naman sila sa broadcast pool. I don't think you will have a difficult time," Andanar said. Andanar also explained that the president is not ruling out the possibility of granting interviews again to journalists during his term. He clearly said, "Six years ang presidency. I don't think na 'yung Presidente naman ay hindi kayo kakausapin. Kasi kung matatandaan niyo, doon sa Cebu nakausap naman siya ng GMA, nakausap naman siya ng ABS-CBN." Meanwhile, the incoming PCOO secretary is proposing to change the agency name into the Presidential Communications Office (PCO) which will also subsume the Presidential Communications Development and Strategic Planning Office (PCDSPO). Andanar said, "Simple na lang siguro ang division na 'yun. Magiging strategic communications division ng PCO. Ang kagandahan po nito ay hindi na po magiging you know, medyo magulo ang ating set up. Isa na lang ang magrereport sa Presidente, 'yung secretary na lang ng PCO at pati po ang spokesperson pag dating sa kanyang administrative work ay ako na po ang magrereport sa gabinete para isa lang po ang panggagalingan ng report administratively." Do you agree with incoming PCO secretary statement? Please point your thoughts below. Comments or suggestions about "No 'ABS-CBN', 'GMA' & 'TV5' on Duterte's Inauguration on June 30" is important to us, you may share it by using the comment box below.